10% Off Select Products - Select products are currently 10% off. Select your vehicle to see sale price. Equip your Wrangler with the aggressive growl and expertly crafted performance of aFe scorpion exhaust system. 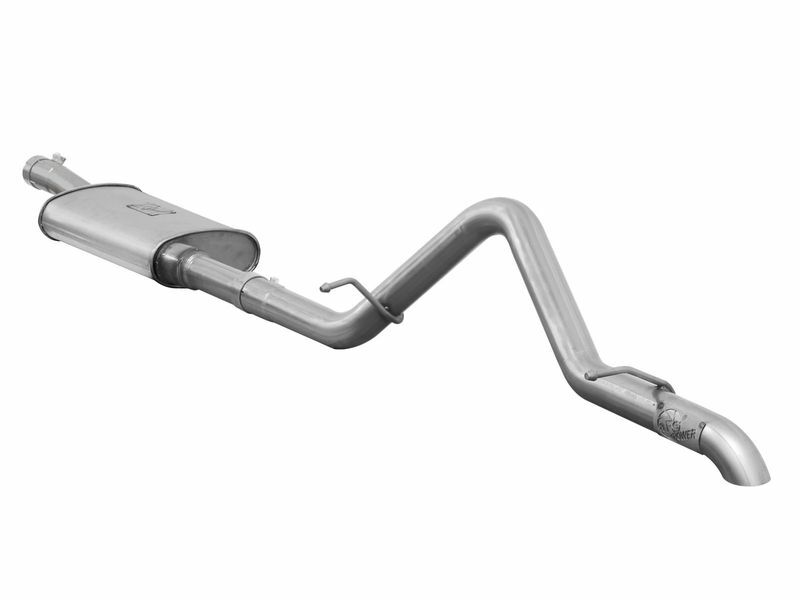 This is an exhaust system for Jeep owners that want to enhance your power and performance without braking the bank. Constructed out of aluminized steel that are mandrel bent for maximize flow and throttle response. Plus, every system is dyno tested to guarantee improved horsepower and torque. Scorpion exhaust systems are available with a specially bent tailpipe to allow for increased rear axle travel. You thinking about taking the Wrangler offroad, but want increased growl and performance? This is the exhaust to get the best of both worlds. If you are a Jeep owner and love American made products. Then the aFe Scorpion exhaust system is perfect for you. Get yours ordered today! aFe warrants their products to be free from manufacturer’s defects due to workmanship and material. This warranty applies only to the original purchaser of the product and is non-transferrable. Proof of purchase of the aFe product is required for all warranty claims. Warranty is valid provided aFe instructions for installation and/or cleaning were properly followed. Proper maintenance with regular inspections of product is required to insure warranty coverage. Damage due to improper installation, abuse, unauthorized repair, or alteration is not warranted. Incidental or consequential damages or cost, including installation and removal of part, incurred due to failure of aFe product is not covered under this warranty. All warranty is limited to the repair and/or replacement of the aFe part. No other warranty expressed or implied applies nor is any person or advanced FLOW engineering authorized to assume any other warranty. Some States do not allow the exclusion or limitation of incidental or consequential damages or do not allow limitations on how long an implied warranty lasts, so the above limitations or exclusions may not apply to you. This warranty gives you specific legal rights, and you may also have other rights which vary from State to State. aFe Scorpion exhaust systems are a simple to install right at your own home. All exhaust kits come with easy to read instructions. However if you need any help you can call our amazing customer service team at 877-216-5446.